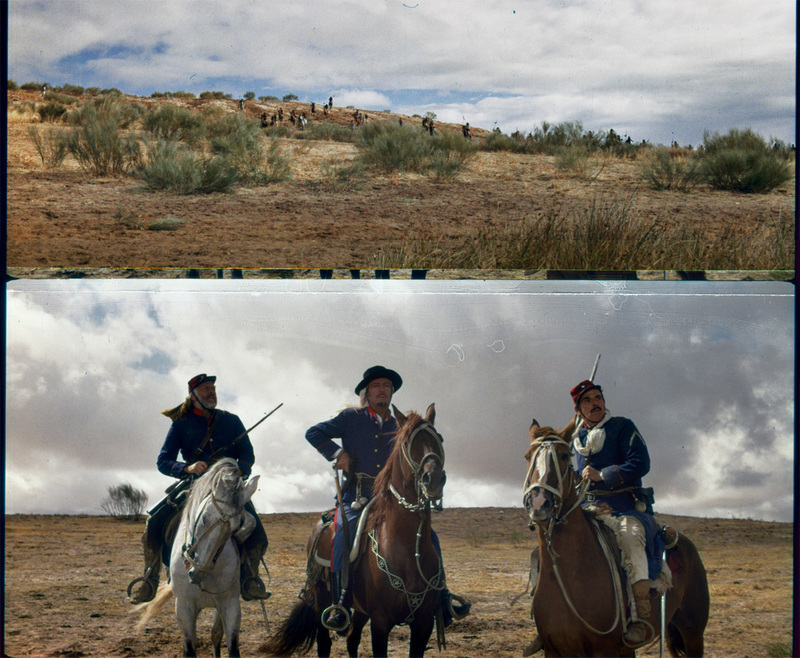 Scan sample of "SAVAGE PAMPAS" restored from completely faded 70mm positive print. Note the color balance by scan expert Vincent Koch and his magic software. "SAVAGE PAMPAS" (MCS 70 - Superpanorama, 1966) will get a 4k digital restoration and 6-track Audio Transfer work by Schauburg Digital Division. 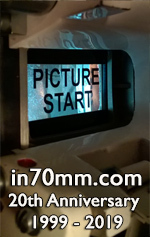 Scan work will begin end of June 2015 from a pristine 70mm print made from 65mm negative. We will scan a pristine original 70mm print from the first release in 1966, which came directly from the 65mm camera original. This print already has the color corrections in it, but it is faded. We will clean the print and then have it scanned at 4K Resolution. Our scan expert Vincent Koch will restore the color with the same software he used to bring back the colors in "Vigilant Switzerland". The advantage of this process is we will stick with the original color balance, and do not need to make up a new color timing, which always is a problem with the old prints. Schauburg Cinerama restores "Vigilant Switzerland"
I was very interested to read your article about “Savage Pampas” being restored. I wonder if you have more information about why it’s being done, when it will be finished, and if a DVD/BluRay release is part of the plan. There are terrible cropped 4:3 prints on public-domain DVD collections here in the U.S., which is the only way I’ve seen it. I know in other parts of the world it’s been widely available on DVD, presumably in better shape. It seems like a popular title in Germany and also in Italy, where it was retitled “El Cjorro” (The Thief) with an advertising campaign built around villain Ron Randell rather than hero Robert Taylor.